Dr. Elsworth S. (“Bob”) Deuel passed away December 11, 2013, at Maria Manor Nursing Home in St Petersburg, FL. He was 99 years old. Born in 1914 in Perryville. 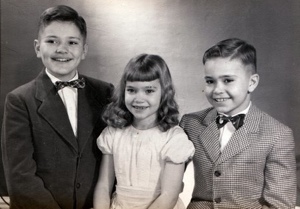 N.Y., Dr. Deuel along with his two sisters, Catherine and Constance, was raised in Penfield from 1924 by his parents, Dr. Jacob B. Deuel — a Rochester Radiologist — and Mrs. Norma Shaut Deuel. 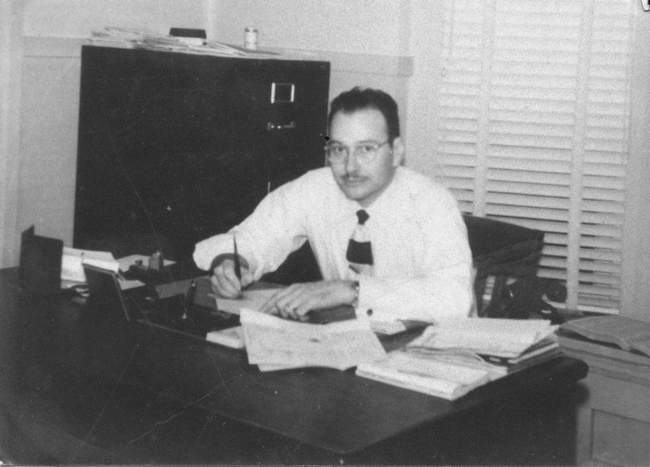 Educated at Penfield School, Peddie Preparatory School in New Jersey and St. Lawrence University, Dr. Deuel took his medical degree from New York Medical College in New York City in 1938. There he met and married Ms. Lillian Ellstrom, a nurse from Altoona, Pennsylvania. Interning at Genesee Hospital in Rochester , N.Y., Dr. Deuel was given a first child, Peter Ellstrom, by Mrs. Deuel on February 24, 1940. While later employed as plant physician at Harrison Radiator in Lockport, N.Y., Bob and Lillian had two more children, Geoffrey Jacob (1/17/1943) and Pamela Jane (6/27/1944). Dr. Deuel returned to his hometown, establishing his family medical practice in 1944, when there was no other physician in Penfield. After a short time on Five Mile Line Road, Dr. Deuel moved the practice and his family to 1790 Penfield Road, next to Daniel Penfield’s house. The practice was in the west wing of the house and the family referred to it as “The Office.” He had afternoon and evening office hours two times a week. Dr. Deuel also made house calls, which he usually made in the mornings and evenings. Back then, a doctor’s private time seldom was truly private. As a general practitioner he was always on-call. Dr. Deuel was the town’s sole physician until the mid-fifties when Dr. Kenneth Thompson set-up his practice on Five Mile Line Road. After 23 years, Dr. Deuel closed his practice in 1967 and became a physician at Eastman Kodak. A gifted diagnostician, Dr. Deuel will be remembered for the extraordinary care he gave to his patients, as well as his no-nonsense yet compassionate manner. While in practice from the mid-forties, Bob and Lillian were active members of the Penfield Baptist Church. 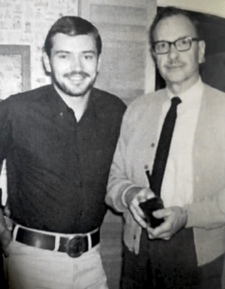 Dr. Deuel was Penfield’s Health Officer, the School Physician, physician at the Fairport Baptist Home, a Charter Member of the Penfield Rotary Club, the Penfield Fire Department, and both he and Lillian were generally very active in the community. 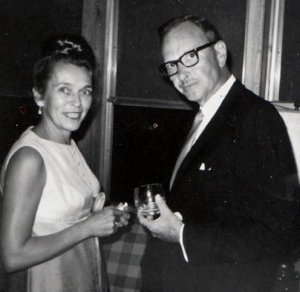 Dr. Duel’s son, Peter, died tragically at the end of 1971, and Dr. and Mrs. Deuel retired in early 1973, traveling by car and trailer to California to be closer to their remaining children, Geoffrey and Pamela, and grandchild, Jennifer. Based in California and Arizona, Bob and Lillian traveled east in summer and fall, visiting friends and relatives and spending much of the summer at their favorite place: their cottage in Ontario, Canada. Dr. and Mrs. Deuel moved to Prescott, Arizona, in the early 1980s. There, Lillian had a recurrence of cancer and Dr. Deuel lost his beloved wife of 48 years in March of 1986. Bob moved to Indio, California, in 1988, where he played a lot of golf and made new friends. For more than a decade, Bob continued his peripatetic ways, summering at the cottage and visiting with Pam and Geoff/Jacqueline and other relatives and friends in Penfield and other locations. In 2003, Dr. Deuel began exhibiting signs of dementia. After living with relatives in Colorado and with Pam and Geoff, it was ultimately decided to place Bob in an Assisted Living facility. In 2007, Dr. Deuel became a resident of Bon Secours Assisted Living facility in St. Petersburg, FL, only 5 miles from Geoff and Jacqueline. Spending holidays and going on outings with Geoff and Jacqueline as well as visiting with Pam when she came down from Philadelphia really lifted Dr. Deuel up. Bob also savored his nightly phone calls from Geoff, sharing anything that was bothering him and simply being affectionate. Moving to the nursing home wing in the summer of 2012, Dr. Deuel was quite content until November of 2013, when he began having difficulty with a chronic bronchial cough. Despite aggressive treatment for his illness, Dr. Deuel never really recovered. Dr. Deuel quietly passed away at 10:00pm December 11, 2013. Dr. Deuel is survived by his son, Geoffrey, and daughter-in-law, Jacqueline, of St. Petersburg, Florida; his daughter, Pamela, of Valley Forge, Pennsylvania, and his granddaughter, Jennifer, of Wisconsin. Also his brother-in-law, Ted Ellstrom, and wife, Dawn of Webster, New York; and sister-in-law, Naomi of Altoona, Pennsylvania; as well as many cousins, a myriad of nieces and nephews and grandnieces and grandnephews and second cousins on both sides. Thank you so much, Dad.